Genomics has become a foundation for virtual patient-centric communities involving patients, caregivers, clinicians, and researchers worldwide. Reach out to broad populations affected by rare diseases, many of whom are undiagnosed. These patient-centric communities are dedicated to sharing information and providing support in order to break down the barriers of isolation and uncertainty that can compromise care and adversely affect quality of life for patients and their families. As we learn more about the genetic variations that contribute to diverse conditions, virtual communities that are fueled by genomics contribute an ever-expanding resource. Virtual communities have greatly affected patients and caregivers worldwide, and the relationships forged through genomics are essential to clinicians and researchers as well. Genomics not only serves to link patients to each other but also to connect those patients to research initiatives that use genetic sequencing to diagnose conditions and guide treatment, thus improving patient outcomes today while influencing research for better therapies tomorrow. RareConnect, for example, is an online platform that connects patients, caregivers, clinicians, and researchers in more than eighty disease-specific communities. Another leader in this arena is PatientsLikeMe, which has activities that encompass more than 400,000 members with over 2,500 conditions. Many diseases and conditions are identified by genetic abnormalities or characteristics. Participants in RareConnect, PatientsLikeMe, and similar sites are drawn in part to the ways in which genomics could contribute to an accurate diagnosis, a novel treatment, and ultimately a cure. The use of genomics to build communities has been especially important for rare diseases. For patients and caregivers affected by the rarest of rare diseases – the disorders so rare that only a handful of known cases exist worldwide – the transformative role of genomics is that much more powerful. An excellent article in The Atlantic tells the story of one young woman whose experience illustrates this phenomenon. A genomic study identified the genetic mutation that underlies Lilly Grossman’s movement disorder. The information provided by genomics has enabled the formation of a virtual community. Lilly’s case has acted as a magnet for others with the same mutation. Families with the same problem read about Lilly’s case and contacted the Grossmans. Doctors and geneticists looked at their own patients and saw a new explanation behind puzzling symptoms. Before, there were isolated pockets of people around the world, dealing with their own problems, alone for all they knew. Now, there’s a community. The connections forged through genomics are essential to patients, often children, and their caregivers, often families. Genomics can provide the vital link, the piece of information that identifies individuals with similar experiences – the community of people who understand. Patient-centric communities are one way in which the increasing availability of cost-effective genetic sequencing is transforming patient experiences, shortening diagnostic odysseys, and improving clinical care. Many such communities are also critical for advocacy and fundraising. Parent Project Muscular Dystrophy (PPMD), for instance, has worked effectively to promote Duchenne muscular dystrophy research and speed the discovery of potential treatments. PPMD has demonstrated how parents and caregivers can effect meaningful change, raising both awareness and financial resources – and even being a leading voice in support of FDA approval of therapeutics. The intersection of genomics and social media increasingly drives progress, too. The Charlotte & Gwyneth Gray Foundation, for example, has raised an estimated $3.5 million to support CLN6-Batten disease research – through a crowdfunding initiative launched less than a year ago. And coalitions of patient-centric communities can achieve significant advances through the power of numbers. 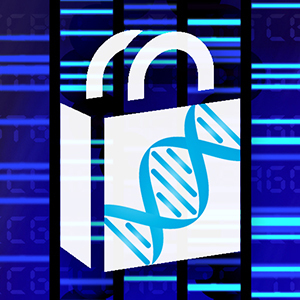 Thus Genetic Alliance, a network of more than 10,000 organizations, was a key player in passage of the Genetic Information Nondiscrimination Act and in development of the National Patient-Centered Clinical Research Network. Initiatives run the gamut from efforts to identify a handful of individuals with rare diseases to projects that aim to enroll thousands of participants. Earlier this month, the University of Washington launched MyGene2, a site where families with rare conditions can publicly post their stories, establishing connections not only with those who share similar stories but also with clinicians and researchers. At the other end of the spectrum, 23andMe has partnered with a number of Parkinson’s community groups on a project to gather genetic data from more than 11,000 individuals. And, in the last year, the Simons Foundation Autism Research Initiative (SFARI) launched SPARK, a project to collect genomic information from 50,000 people with autism and their families. At WuXi NextCODE we are delighted to participate in this endeavor by providing direct online access to the data. Genomics has played a critical role in the evolution of patient-centric communities. Groups that have developed resources and advice for patients and families are increasingly collaborating with clinicians and researchers. Through voluntary contributions of personal knowledge – and genomic data – participants in patient communities are expanding the impact of genomics on medicine. The growing power of virtual communities has facilitated numerous initiatives to improve patient outcomes through improved diagnosis, optimized standards of care, and new directions for promising research. 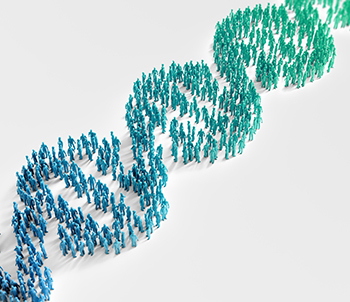 From rare diseases to disorders that affect millions, all stakeholders increasingly use genomics to translate individual experiences and expertise into meaningful improvements in the lives of patients and their caregivers. Genomics sits at the powerful nexus between evidenced-based medicine and the empowered patient. At WuXi NextCODE we are proud to advance the role of genomics not only in patient care but also in the evolution of strong, effective patient-centric communities.